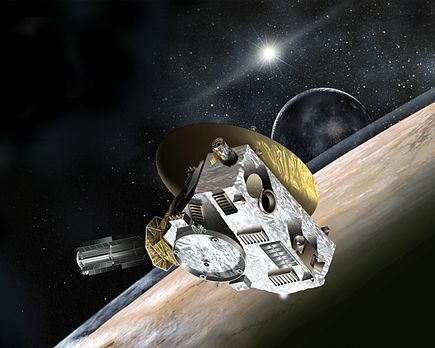 Artist's concept of New Horizons when it reaches Pluto in July 2015. 36 Days to go until the flyby of the dwarf planet Pluto. The NASA spacecraft mission New Horizons slowly reaches its destination. This July 14, new horizons we will visit. First time in history, to finally see the once planet and its moons. Have a look at the latest news HERE. Visit New Horizon's Webpage HERE. Read more about Astronomy Club Toutatis, Kustavi, Finland.